Things are hotting up for the summer, and headlining the all-new and TOTALLY FREE issue of GAMER Interactive, we've got a suitably epic hands-on feature detailing Bungie's sci-fi odyssey, Destiny. 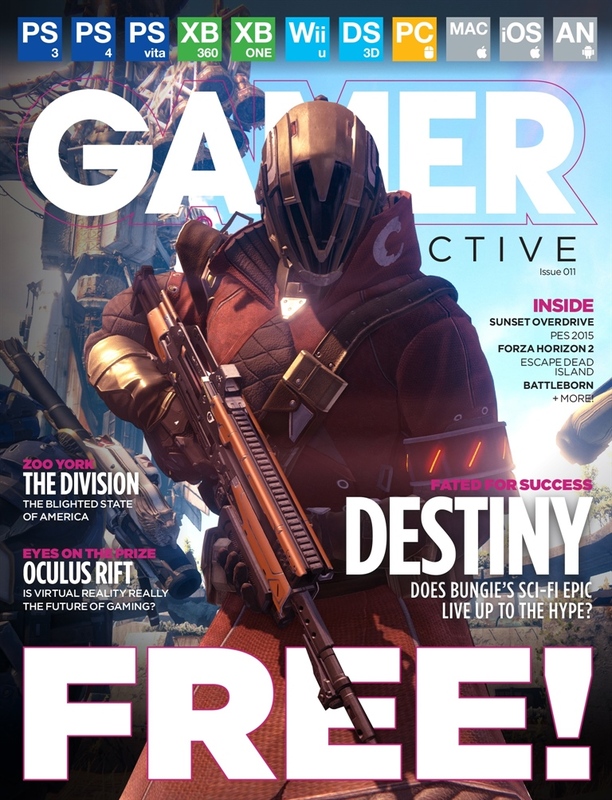 We also playtest the likes of Sunset Overdrive and Forza Horizon 2, go in-depth with The Division, try out Oculus Rift to see if virtual reality really is the future of gaming, and also bring you the latest on the likes of Alien: Isolation, Battleborn, PES 2015, Project CARS and Escape Dead Island. For all this and much, much, more, download your FREE issue today!